Nails. Long and embellished, short and clean, pointed, square, round... whichever may be your preference or style, we’ve all got em. We explore everything from tips to fancy soft-gel manicures, and chat with some of our favorite celebrity and editorial nail artists. So click-click-click with those acrylics or tap those fingers and read on. Upon entering the Crosby St. nail studio, I was greeted with warm smiles and a glass of prosecco. The salon is beautifully decorated with hints of millennial pink, plants, and mid century furniture so you can get your nails did in style. The nail designs are equally as en vogue as the vibe, Paintbox offers a wide selection of classic and gel manicures in customizable, geometric designs and impeccable line work. I went with Make Your Move and chose a bright orange and yellow combo to savor the last few moments of summer, and was extremely impressed with the hospitality and service. Whether you leave this salon to trot around the city or to your next business meeting, your talons will look sleek but still fun. Nothing but love for this “treat yo’ self” ritual as old as time. Dawn Sterling probably did your fave's nails for their latest cover, performance, or Met Gala debut. She’s worked with everyone from Naomi Campbell, Hailey Baldwin, Nicki Minaj, and Alicia Keys (and that’s just over the past few months). 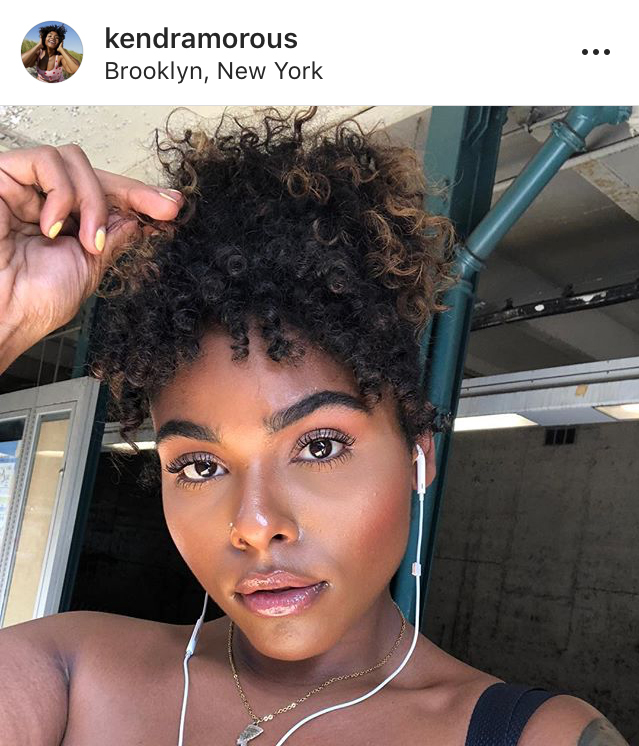 Take a scroll through her IG @nailglam to see more of her gorgeous work, we can’t get enough. How did you get started in the business? Did you always love nails? Yes I have been doing nails since the age of 16. Started out only doing Pedicures and I loved it! I usually go off the energy of my clients. I ask how are they feeling and I go from there. What are a few of your absolute essentials for your kit? I have to have gooey base coat! It’s very old school but I have to have it for my manicures. Applying a nail treatment or keratin treatment every other day will help and proper gel and acrylic removal. 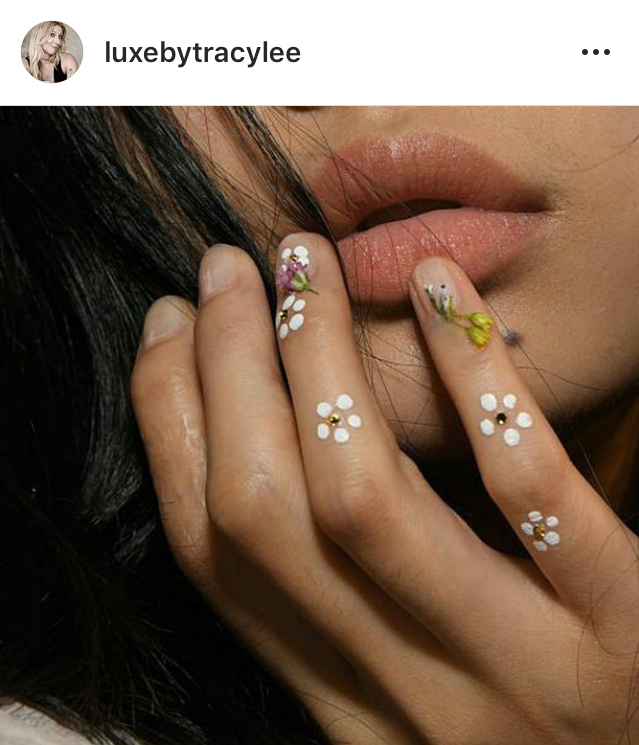 What are some nail trends for fall we should be looking forward to? Lots of textures, skins, and prints!! If there was one piece of advice you could give to aspiring nail artists/beauty industry creatives what would it be? Let your passion lead the way. Everything else will come; money, clients, etc. etc. it will all come if you’re passionate about your craft! Always be open to learning❗️❗️❗️you’re never to hot to learn! How did you get your start in the nail world? As a child I was a competitive gymnast, it was basically my entire world, 6 days a week for 13 years. I had a full ride to college with plans to become a physical therapist, until a freak accident my senior year in high school, injuring my knee, crushing my dreams. I fell into a depression, decided not to go to college and started partying heavy with no real direction for my life anymore. I graduated high school and was working in the security department of a bank when I started doing my own nails. I've always been creative and love to paint and draw, so I became obsessed with doing nail art on my nails. I'd spend 3 or 4 hours creating, only to take it all off and start again 3 days later with a new idea I had. One day, my mom told me the girl across the street was going to school for nails and she thought I’d like that. I didn't even know that was a career at the time (the nail industry wasn't as big as it is now, back then) I signed up the next day, graduated 4 months later, opened my first salon 8 months upon graduation and THAT is where the business of nails, became my new obsession. Can you tell us a bit about @nailstreetz? Nail Streetz is an online platform, I created to help share not only my expertise, but also the expertise of other industry professionals, worldwide. I've worked in all aspects of the nail industry, from employee, salon owner, distributor, to now doing editorials, fashion week, red carpet, film/tv, salon & beauty brand consulting, educationing & travelling the globe with my celebrity clients. There hasn't been one space to cover all of these aspects of the nail industry, until NailStreetz.com. I want to inspire, educate and elevate the nail business to new heights. as well as share the talented artists that dedicate their life to an industry I love. There is so much misinformation and horrible practices being promoted on social media, that I felt I needed to step in and help set things straight, utilizing the true experts in the business. The site offers original editorial content, expert interviews, how-to's, product trends, e-commerce & a soon to launch education platform, where new and seasoned nail lovers can learn everything from technical applications, nail art to most importantly, how to start, grow and succeed in the business of nails. If someone wants to get more clients in their chair, I'll show them how. If they want to work in fashion or with celebrities, I'll show them how. If they want to open a salon, I will show them how to do that too. Giving back and teaching the next generation, that will be my legacy. 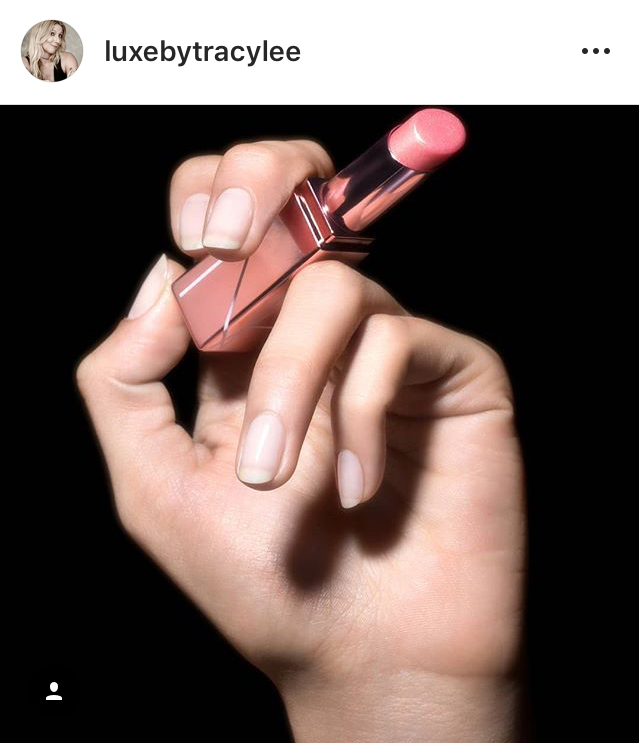 What's your favorite nail look you've ever created? That's hard one... I create new favorites all the time, (ha! the mind of an artist) but I'd have to say the most recognition I’ve received on a design was when I sketched Snoop Dogg on a nail, stuck a blunt to it, lit it and posted to instagram. It received over 8 million views on instagram which led to a ton of press/media attention, interviews... even an interview on the Jay Thomas show, on satellite radio! That was so fun. What are some of your favorite nail trends for fall? Any nail care/hand care tips you'd like to pass along to Thicc readers? 2. Cuticle oil is your nails' best friend. It not only hydrates the cuticle area, but also penetrates the skin to hydrate the matrix of the nail (where your nail grows) to keep it flexible and nourished. 3. There are no rules to nail art. Just have fun!